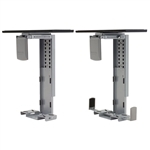 Workrite Ergonomic's Fixed Mount 920 CPU Holder is a fixed mount CPU holder that can support a CPU up to 75 lbs. 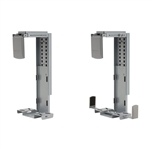 Workrite Ergonomics Track Mount 920 CPU Holder can be mounted direct to the wall, under a desk or on a track. It supports CPU's up to 75 lbs. 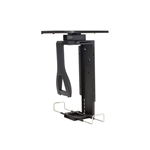 Workrite Ergonomic's Locking Fixed Mount 920 CPU Holder includes a Security Locking Kit and holds a CPU up to 75 lbs. Workrite Ergonomics Vertical CPU Holder is a perfect solution to raise your CPU off the floor and holds up to 50 lbs. 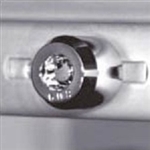 Workrite Ergonomics Locking Track Mount 920 CPU Holder can mounted direct on the wall, under a desk or on a track. Includes the Security Lock Kit. Supports a CPU up to 75 lbs. Workrite Ergonomic's Locking Vertical CPU Holder is a perfect solution to mount your CPU and secure it with the locking system. Holds up to 50 lbs. Space is at a premium in most offices and homes. It’s important to keep things organized – especially a workspace – for better focus and productivity. That’s why our central processing unit (CPU) holders are ideal for desks everywhere. The ergonomic CPU stands available here are just what you need to maximize your work area as well as your capacity to get the job done. These computer tower stands will free up space on your desk – or below it – so you can organize everything else and stay on top of things. 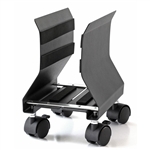 And if you’re on the move, try our Mobile CPU holder. Features include a computer wall mount that attaches your CPU to the wall; others attach underneath your desk. The choice is yours, but once you’ve tried one of these, you won’t want to work without it. For both comfort and efficiency, order one of our CPU holders today! Or feel free to reach out to us with any questions you may have – we’re available and happy to help.